One of my personal favorites in the Harwood District of Dallas, Saint Ann has an elegant feel without being stuffy. They're not just for after work drinks; visit Saint Ann for brunch where they serve up classics like (my favorite) "Strawberry Shortcake" French Toast and Crab Benedict. View the complete review of Saint Ann. Relative newcomer to Dallas, The Theodore offers a unique twist on American cuisine, like Fried Chicken + Coconut Waffles and Sweet Potato and Kale Quiche. Of course, I tried the Sticky Toffee French Toast and was delighted to receive a plate full of the biggest piece of toast I had ever seen! See the full review of The Theodore. A favorite on the perimeter of Klyde Warren Park, Lark on the Park offers a great view along with tasty cuisine. 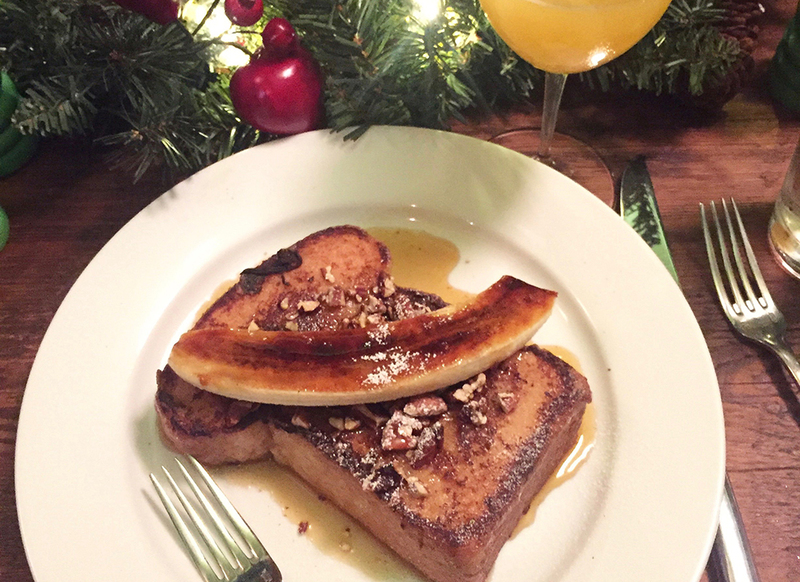 This nutella-stuffed french toast was certainly a winner along with the seasonal blackberry mimosa! See the full brunch from Lark on the Park. Your best bet for a casual brunch get together is The Rustic. Boasting the best family-style brunch in town, you're sure to eat your fill of french toast, quiche, fried chicken, mini donuts, and more! 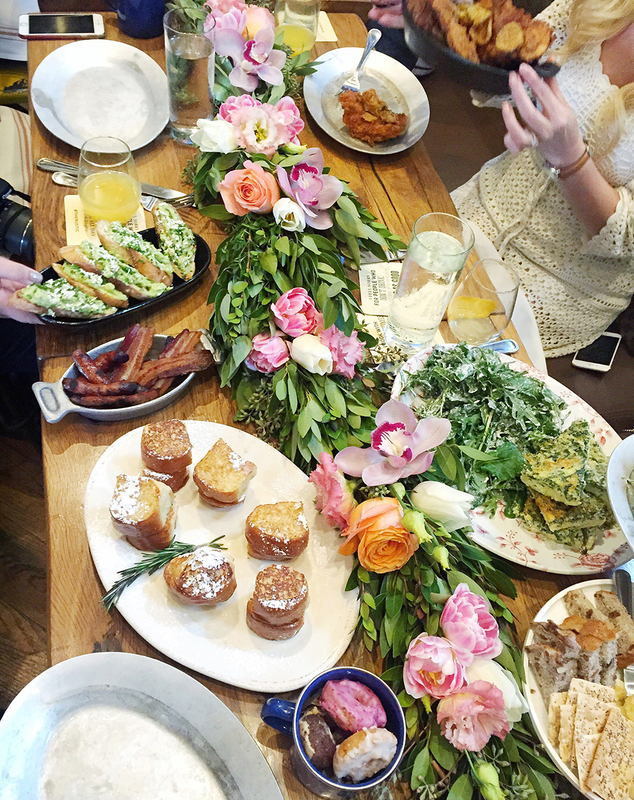 View the full recap of brunch at The Rustic. Tucked away on Cedar Springs, Winslow's is a great spot to enjoy a no-fuss brunch that will leave your stomach and your heart satisfied; their waitstaff knows most of the regulars by name and will take the time to chat you up during your favorite mid-morning meal. 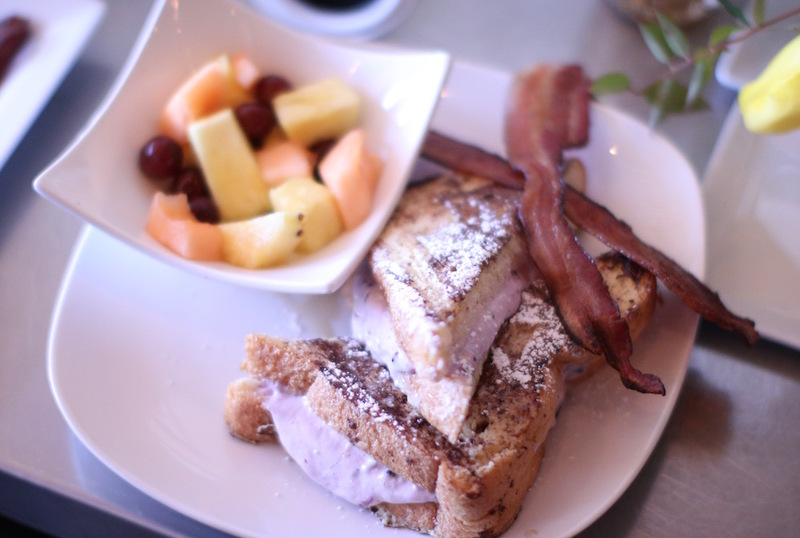 See our full brunch at Winslow's. Thank you to all of the restaurants who partnered with Dallas Blogger Brunch during 2016!